1 Melt 1 tablespoon Spread in medium saucepan over medium-high heat and cook onion, stirring occasionally, until tender, about 2 minutes. Add tomatoes and salt and cook 1 minute. 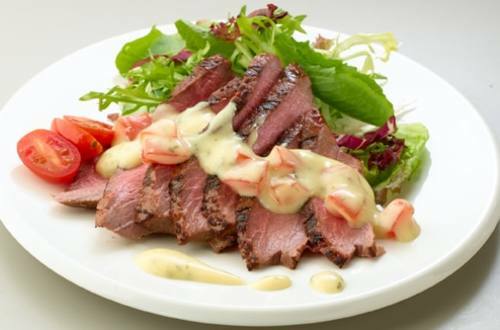 Stir in Knorr® Bearnaise sauce mix, milk and remaining Spread and bring to a boil, stirring constantly. Reduce heat and simmer, stirring occasionally, 1 minute. 2 Serve with sliced steak.